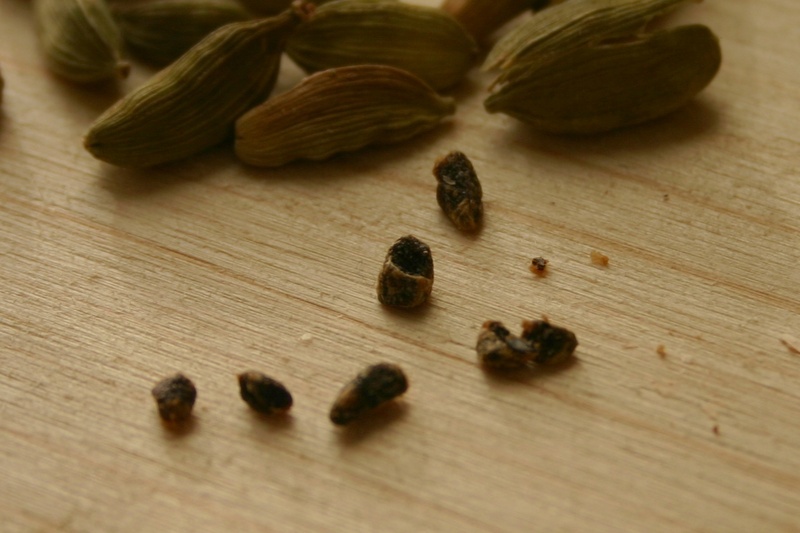 Originally the second most prized spice in the world (after black pepper), first traded in European ports in the 13th century, cardamom is probably my favourite spice. And it is apt that its title is “Queen”, since the aroma is somehow feminine, perfumed, delicate and yet majestic. 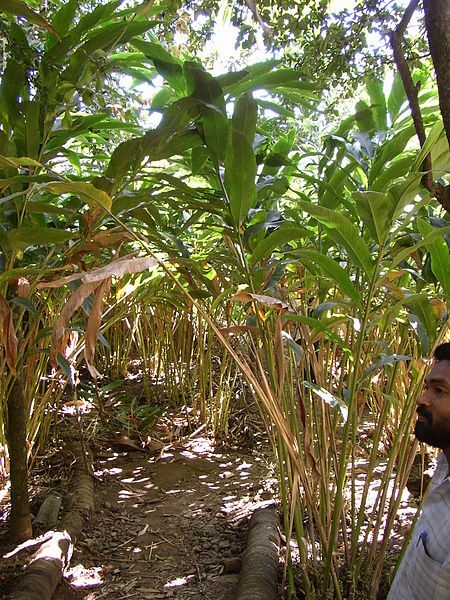 The seed comes from the west coast of India, in fact from the same coast as Piper nigrum (black pepper), and was initially taken along the famous spice routes by land to the Middle East and then shipped to Europe. Until the Portuguese and British established their own sea routes it was, again like pepper, of extreme value due to its scarcity. … and it has a beautiful flower, near to the ground. The green seed pod contains lots of tiny black seeds. The pods are harvested (still done by hand) before they ripen and open, and are dried slowly to maintain the full aroma. 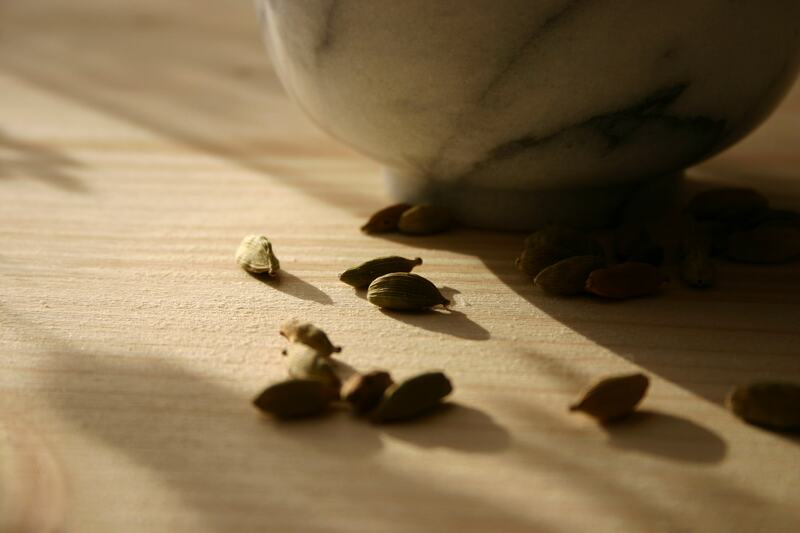 It is best to buy cardamom in pod form and open the pods to grind the seeds with a pestle just before using. The spice is used in many Indian dishes, both savoury and sweet, but in the western world is probably best known in Chai tea. In the Middle East it is used for flavouring both tea and coffee. It is also traditionally used for digestive disorders, throat and bronchial problems, and as a breath freshener. (I’ve tried the latter, and it really works!) 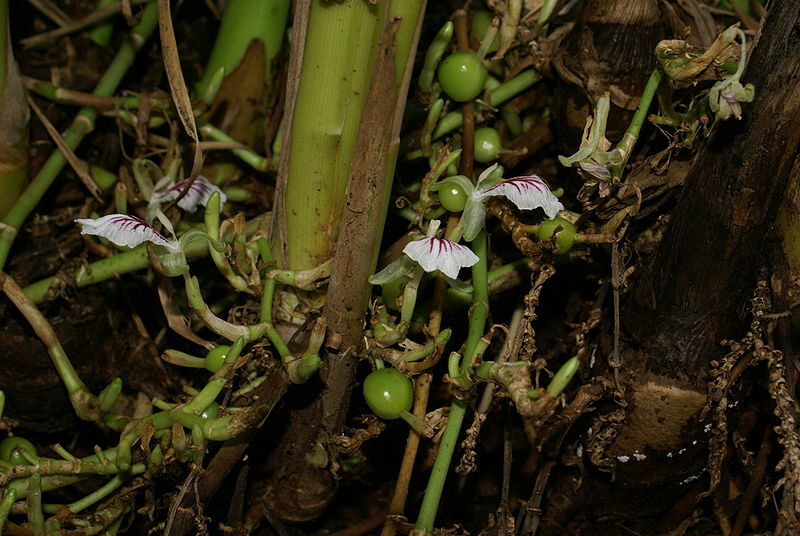 There is also a black cardamom, and several other species cultivated in different parts of Asia and used in Ayurvedic or Chinese medicine. It is interesting that it has found its way into many traditional Scandinavian baked goods, such as Finnish “Pulla” bread, Swedish Cardamom Cookies “Tepparkakar”, and Norwegian “Skoleboller” Buns. Do you have a favourite spice? Coming soon: my favourite recipe for cardamom! I love the information you share! I also love cardamom! It’s amazing what we don’t know about the stuff in our cupboards! Thanks for the post! Interesting. I hadn’t a clue about cardamom. Since it’s in Chai tea it must be good because I love that stuff. Great post Cathy. 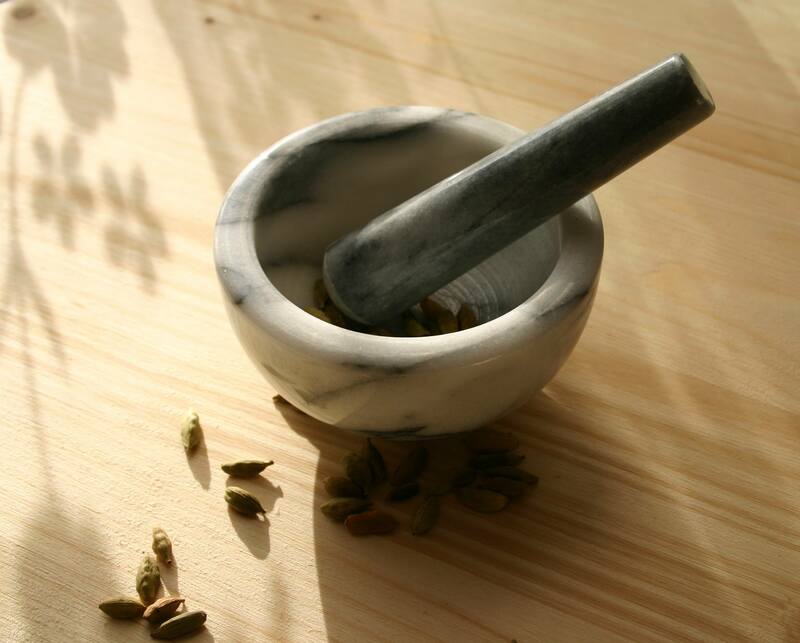 I came across cardamom through you, so I haven´t tried many recipes yet. But I liked your bread pudding recipe with cardamom very much! The spice trade always fascinated me- still does. I’ve never tried fresh cardamom but I’ll give it a go. I’ve got a mortar handy just like the one you pictured.